Many people walk around not realizing they live in fear. There are many moments in our life when decisions are made because of fear but we don’t realize it. Can you relate to any of these examples below? You start a side business but then stop focusing on it because you felt you were “too busy” to build it. Without realizing it, you accepted the busy excuse because deep down it didn’t grow as quickly as you expected. You fear failure. Your spouse did something that hurt your feelings and instead of discussing your feelings, you ignore it. You make an excuse for them thinking, “they just had a bad day”. Although you are afraid of them not caring enough to change or fear the confrontation. You have been looking for a new job and find what seems perfect through an online job posting. You spend hours updating your resume only you didn’t apply before the company filled the position. You tell yourself, “it just wasn’t meant to be”. Subconsciously, you may have held on to it because you fear rejection. How Do We Develop Fear? We are not born with fear. Fear is created from learning from someone else or experiencing something we don’t want to go through again. Or fear maybe created because the thoughts we have about the future are toxic or negative. 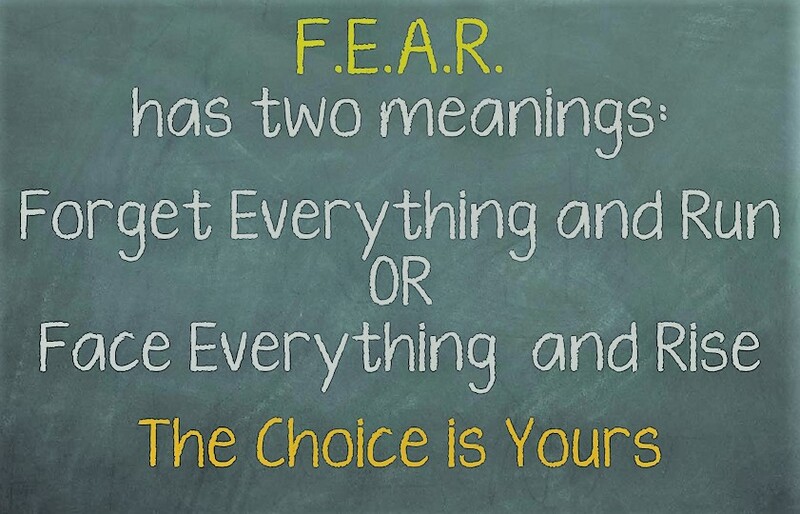 Like I said before, we may make decisions solely based on fear and not realize it, but how can that happen? A fear can start to grow with one negative THOUGHT whispered into your ear. When you hold onto this thought or agree with it, you start to have bad FEELINGS about the situation or the person the thoughts are about. Those feelings can ignite your imagination until the worst case scenario embeds in your mind. Once we accept this thought as truth we take some sort of ACTION. When we keep doing the same action it becomes a HABIT and then the FEAR can embed in our mind as the truth. Every negative thought or fear you struggle with has a root cause or a beginning point. This means the fear sprouts from a time when someone hurts you or a tragic event happens in your life. These type of negative experiences attach to your emotions. Once your emotions run away with you, it impacts your thoughts. This is where it gets dangerous and your mind begins to head down a path of believing a lie. You may find yourself repeating conversations or one phrase in your head like a broken record. When I was 14 years old, I was “dating” my first love. I fell hard and was completely enamored by him. Being very shy; there was a lot of awkwardness when I was around him and I never knew what to say. After a period of time, he ended the relationship. However, he never told me it was over or the reason why. The phone calls just stopped. Every Wednesday night, Sunday morning and Sunday night I would see him at church yet there was no eye contact or words spoken. I asked him multiple times and he refused to explain himself. Now in my 40’s, I still don’t know why my first love left. The waterworks went on for months after the break-up. What I didn’t realize until I got older was at that time in my life I made a vow to myself. I would never let my guard down and allow someone else to hurt me that much again. So I became the heart breaker and the one ending relationships before the person I was dating had a chance to. This first love loss caused me to believe that no one would stay with me and that everyone at some point leave me. This is obviously a very toxic thought which prevented me from having an intimate, trusting relationship for decades. The only way I found to overcome fear is to find the lie and replace it with the truth! If you are willing to go on the journey to learn the truth about your toxic thoughts and when the fear began; you can experience a spiritual freedom that can’t be explained by words. There are many times in life where I am confident I can handle the problem on my own yet I have limitations. We all have limitations. 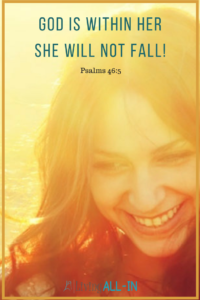 When there is a situation that is completely out of my control then I turn to God for help. The stronger your faith the less you fear in life. When you don’t allow your circumstances to control your feelings and emotions; you can remain steady. The one thing I have learned about myself is I am an emotional woman. I am much better now, but, I was known for my mood swings that occurred over the smallest of details. I would spill my Starbuck’s coffee and if there was one other problem such as running late for work; it would ruin the next 4 hours of my day. Now I don’t let crazy, toxic, negative thoughts own my emotions where they spin out of control. You are stronger than you give yourself credit. 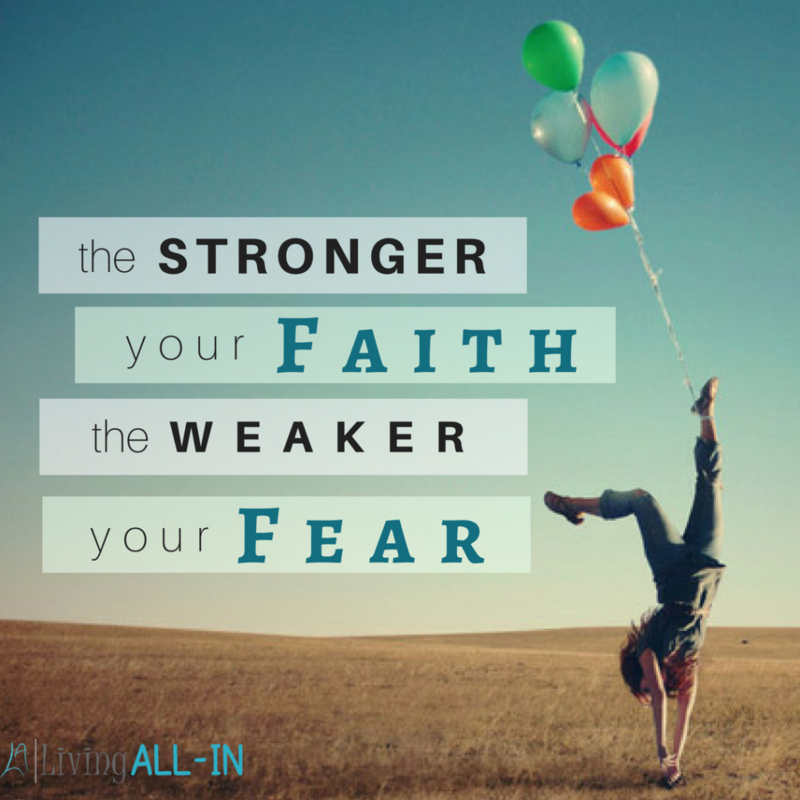 You aren’t weak; it is the fearful thoughts that weaken you! When you carry around toxic thoughts they get in the way of your happiness and overall joy. When you focus on God and His promises, you fill your mind with the truth. Your job is to place your trust in God and then have the courage to step out of your comfort zone and start facing your fear. It is difficult to trust God if you don’t know how he promises to help you. Facing a situation that seems impossible. 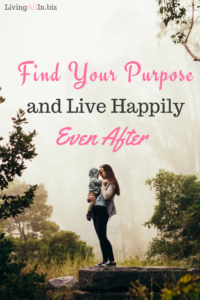 Struggling to find peace and joy when going through life’s trials. Worried about problems or things out of your control. 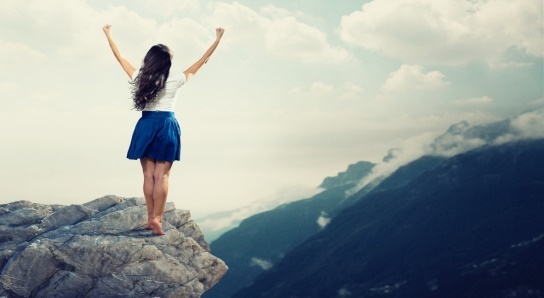 Imagine what life is like when you overcome fear instead of it driving decisions that steal your joy? Be brave and go on the journey to learn what you believe about yourself and your situation. Take the time to find the lies you believe and replace them with God’s truth. You will be happier! 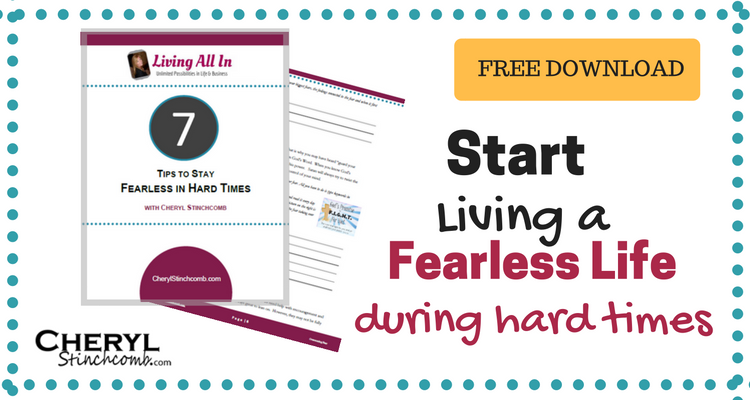 Download the free workbook by clicking here or the big image below and get to living a fearless life!